Smart. Brilliant. Chilling. Unforgettable. Heart-pounding. Intoxicating. These are a few words to describe this nail-biting suspense thriller that K.A. Tucker has masterfully written. He Will Be My Ruin is unlike any K.A. Tucker book that I have read. I applaud Ms. Tucker for taking a chance on this uncharted genre that we would not normally expect from her. I have to warn readers that this book is not a romance story. So if you expect hearts, flowers, and a knight in shining armor then I'm sorry to disappoint you because this book does not have that at all. Again, this is not a love story. 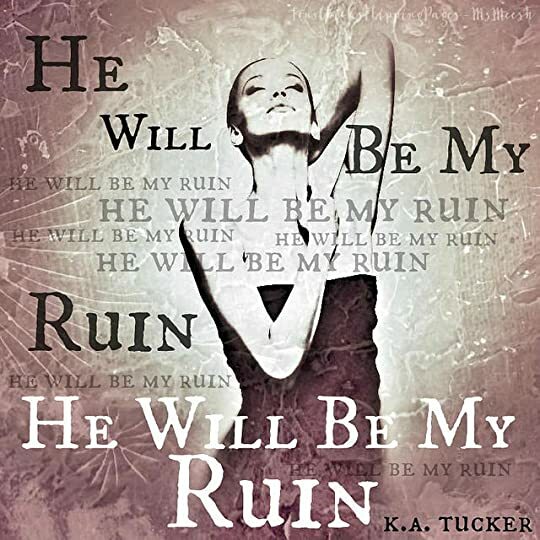 But if you are looking for a story that will leave you breathless, stunned, and wickedly mesmerized and intoxicated then He Will Be My Ruin is the book for you. K.A. Tucker will always be an author who can flawlessly deliver a book with so much depth, passion, and intensity. She continues to leave readers like myself in awe. Her words, prose, raw characters and storyline continues to captivate and capture any audience. He Will Be My Ruin will hold you hostage as layers upon layers of secrets, truths, fourberie, duplicity, suspense and mystery are beautifully unraveled. I honestly don't want to say more of what to expect in this book but I will just say be prepared to experience a whirlwind of surprises and shocking revelations. When you think you got this book figured out, Ms. Tucker will blow you away with her surprising twists of events leaving you speechless and ruined for any other books. Did this book ruin me? Absolutely. It held me hostage as I was utterly intoxicated with K.A. 's prowess, brilliance and wicked mastermind as she held readers like myself begging for more. She literally took her readers down the proverbial rabbit hole and had us deliriously intoxicated with the mystery, grit, and suspense. I will just say that this book is a story that must be experienced. Readers must experience the unraveling of the truth from the eyes of Celine as she discovers the truth of her best friend's death. 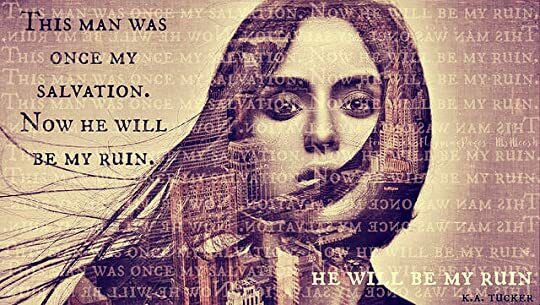 So if you are looking for a book that perfectly weaves suspense, mystery, fourberie, and duplicity then I highly recommend you to read He Will Be My Ruin.